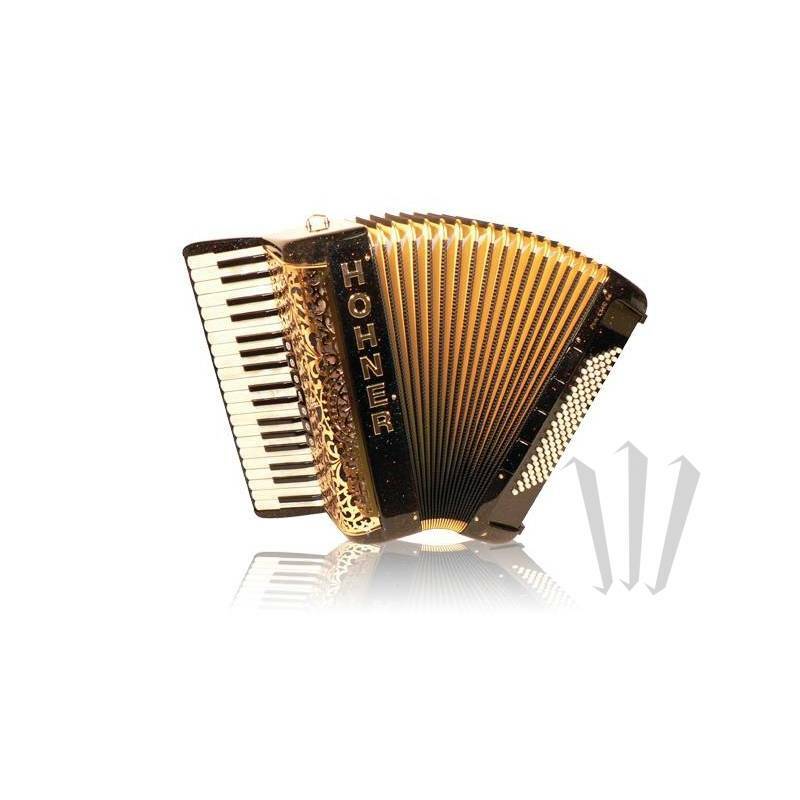 Ideal for performing live on stage, this versatile, compact and lightweight 96-bass piano accordion with tone chamber has 37 keys, 3 voices, 7 registers on the right hand and 4 voices, 4 registers on the left hand. When you’re on stage, you want to be able to move and react to your audience. Also, you’re looking for a warm sound that works both on its own and in combination with a band. That’s right where the Fun Star fits in. It was designed with the requirements of an on-stage performance in mind, giving it a low weight and compact construction. 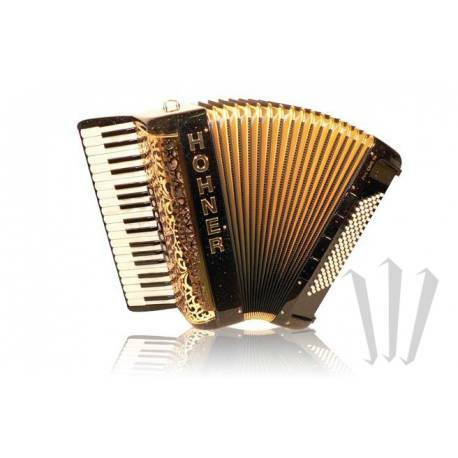 Combined with the amazing look and the beautiful, warm sound, this accordion is perfect for ambitious beginners as well as seasoned professionals.